Over the years, I’ve seen quite a few use cases for using SAP transactions on mobile devices. And with the recent release of the Slipstream Engine in SAP Screen Personas 3.0 SP06, these use cases may now be supported. That is, we can build a flavor that can be used by an end user on a mobile device. 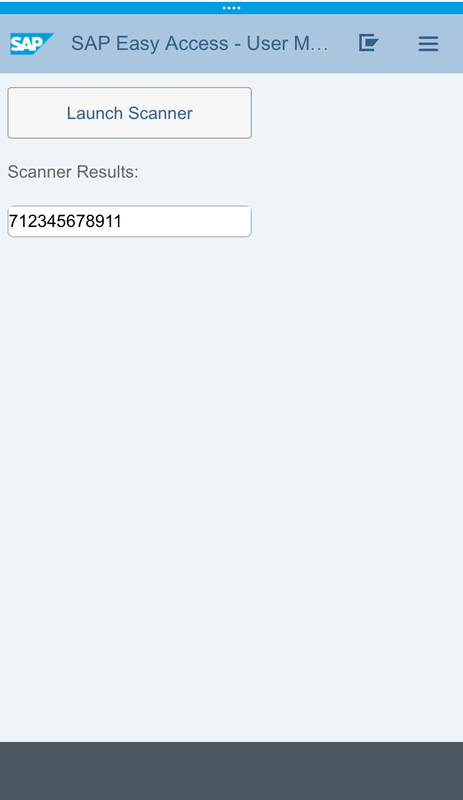 One use case is leveraging the camera on a mobile device to scan a barcode and then have the result entered into an input field on the screen. 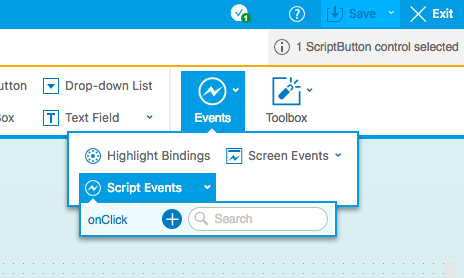 We can do this by building a Slipstream Engine flavor that uses the native device capabilities via the SAPUI5 API and the SAP Fiori Client. Note: This exercise requires the SAP Fiori Client app, which can be downloaded from the iOS app store or the Android app store. 1. Create a flavor in the Easy Access screen by opening the flavor menu and then clicking the Create New Flavor button (plus button). 2. Enter a flavor name and a description. 3. 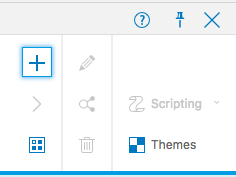 In the flavor editor, click just to the right of the left-most scroll bar. 4. In the toolbar, click the Hide button. 5. In the toolbar, switch to the Insert tab. 7. 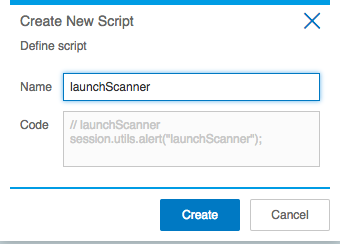 In the flavor editor, create and attach the new script to the Launch Scanner button. 8. Name the script “launchScanner”. 9. Save the flavor and then exit the flavor editor. 1. Open the script editor. 2. In the script that was created earlier, delete line number 2. 5. Create a new script and call it “copyScanResult”. 7. Place the mouse curser before the first character in the line of code and then use the use the Object Selector to select the input field that was created earlier. 8. Copy the GUID into the code by click the button as in the screen shot. 9. Copy the GUID of the script itself and then click the Save button. 10. Switch to the launchScanner script. 11. Paste the script GUID in between the “” of the session session.utils.executeScriptAsync(“”); code line. 12. Click the Save button and then exit the script editor. 1. Copy the URL to the flavor. 2. Replace “personas” with “se/m”. This URL will be used in the SAP Fiori Client. 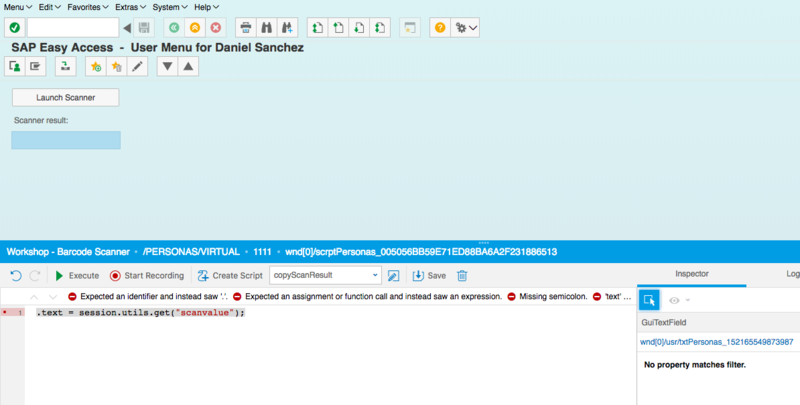 Open the SAP Fiori Client. Enter the URL to the flavor and then press the OK button. Click the Launch Scanner button. Allow access to the camera, if necessary. The implementation is fairly straight forward, and it can be adapted to other transactions where a user can input data from a barcode into the system; for example, MI04. Daniel Sanchez is a User Experience Strategy & Technologies consultant at SAP and is based in Palo Alto, California. Disclaimer: The information in this article is as up-to-date as it could be on the date that the article was last updated. The author’s opinions are his own. Thank you Daniel for Sharing your experience with Screen personas and showing one of it’s capabilities. We tried Scanning barcode using the scripting , followed the same Instructions as it is in this Blog but for some reason in the scanning results we are getting “null . Any idea of what can be root cause ? Any idea how to resolve it ? Remove the comma in line 10 and then try again. Your code worked perfectly for me. Thanks. I used the following code its exactly same but with some additional comma removed from last but one line. the app loads well but the scanning functionality does not work as it cannot find the plugins, I tried the cordova approach in Personas script, even that fails to access the plugins, I am not sure why it cannot access the plugins when its embedded as a tile. Please kindly advise if there is anything I am missing. 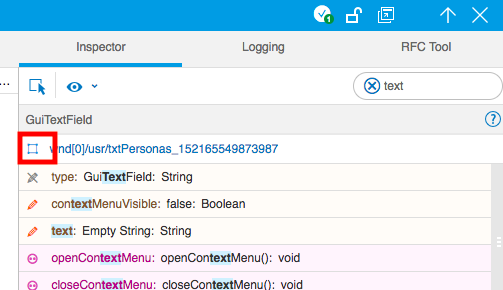 The embedded URL tile does not allow to access SAP Fiori client Cordova plugin features. I am wondering if there is a solution for it? I have written line by line code as stated above but somehow getting some error. like jQuery not defines, sap not defined , alert not defined. Can someone please help.